what does participation involve ? 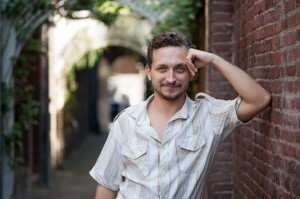 Georgi Sztojanov (Bulgaria/Hungary, 1985) is a composer, singer, improviser. He obtained two master diplomas in composition, first from the Liszt Academy, Budapest (2009) followed by the Royal Conservatory, Den Haag (2012), where he currently studies classical singing. His works exhibit a wide spectrum of genres and styles: from opera to oratorio, vocal to instrumental, songs, choir works, ensembles and solos, music theatre pieces, applied music for theatre and film. His opera Sinking was premiered last year by the Dutch National Opera Academy. As a singer his experience is also diverse: from bel canto to alternative, from early music to modern premieres, from baritone and tenor to countertenor and sopranist, as soloist and in ensembles and choirs. He is also a vocal and instrumental improviser (violin, keyboards, flute, percussion).